Tammi Rossman-Benjamin on “the overtly anti-Israel nature of a Federation-funded and Hillel-promoted program, the Olive Tree Initiative” She details the Anti-Israel speakers the UCI students met on the last OTI Trip More ……..
ZIONIST ORGANIZATION of AMERICA (ZOA) expressing “serious concerns about your support of the Olive Tree Initiative”More…….. Rabbi Dov Fischer urging “the Jewish Federation to investigate the Olive Tree Initiative, which has selected a speaker who advocates overthrowing the Jewish State”. More……. Moti Gur VP StandWithUs states “I do not find strong enough words to describe it when a Jewish Organizations associates and partners with anti-Israel groups to promote anti Israel Propaganda”.More……..
Gary Fouse, a teacher at UCI states “It is legitimate to question the wisdom of funding an enterprise that exposes young Jewish students not just to Palestinians per se, but to experienced activists who are really working for Israel's destruction.More……. The Endowment for Middle East Truth (EMET) is asking its members to support a nation-wide petition movement, which seeks to encourage local Jewish Federations to publicly pledge not to sponsor, fund or facilitate any organizations or programs which participate in the Boycott, Divestment, Sanctions (BDS) movement against Israel. The Federation has chosen to ignore these requests from Community Leaders, above. Instead they have chosen to support Daniel Wehrenfennig, Director, Olive Tree Initiative, UC Irvine. ZOA - The Zionist Organization of America - Letter to the Orange County Jewish Federation (Click Here) and to UCI Chancellor Drake (Click Here) about students meeting Hamas leader on the West Bank. From Paul Schnee: The recently published letter to Chancellor Drake of UC Irvine signed by the O.C. Jewish Federation and the Rose Project dated October 8th. 2009 clearly shows the extent to which the Olive Tree Initiative and UCI were prepared to go in order to conceal the very real danger in which they had placed students when they arranged a secret meeting with an Hamas leader well inside the disputed territories. From Jeff Heller: "How naïve to think that the OTI can solve the Middle East conflict between Palestinians and the Jewish State of Israel, when six presidents failed to do so. But in their pie-in-the-sky efforts, they met with Hamas in a last-minute arrangement, which was sanctioned by the “on-site leadership” where students agreed to the meeting". "Why are we putting the sacrificial knife to our necks, this is outrageous!!! instread of teaching our kids to be proud Jews and promoting our cutural values, you gived way to mislead them by been balanced and unbiased with the same people who will destroy the State of Israel??? If we continue to apeace the people who deligitimize us on a daily basis, we will find ourselves without a nation, divided and weak, just like before the Holocaust, the pogroms or the inquisition. Do you really belive the enemies of the Israel and the Jews care about this dialoge? they only want to further alienate us as a nation by rewriting our history in the eyes of the whole world. Please stop this madness and stop the political correctness, it will only bring shame and disgrace to the Jewish people as a whole". From New York Jewish Federation Board Member: "The funding and support for the OTI by the Orange County Jewish Federation and the UC Irvine Hillel is an outrage! How dare you propagandize impressionable young Jewish students!" "I know you will find better ways to use donations toward helping Jews and Israel worldwide. Please do so before we lose all faith in you". "Kindly return our $1500.00 contribution to the Jewish Federation for 2010. We do not wish to contribute to ANY anti-Israel organiztion, and neither should you." "I do not want my donation dollars going towards the olive tree initiative which does not support Israel in any sense". "Jewish money should be used to foster Jewish identity and values, not erode them". "I am a graduate of UCI. It is profoundly sad to witness the anti-semitism from Muslim students & faculty, but even worse that so many others are happy to join in the discrimination towards Jews and Israel". "Every effort should be made to make the Jewish Federation of Orange County reverse its position and the great harm that they are doing to Jews"
"I believe that if donated money is used for on any organizations like the Olive Tree Initiative, then prior to accepting funds from anyone at all, the Federation needs to disclose that a portion of the donated money is going to be used for such organizations or any similar organizations !!!" "As a Jew and an Israeli activist I do not want the Jewish Federation of Orange County and the Rose Project to support any group that demonizes and delegitimizes the State of Israel." "There is absolutely no need for Jewish organizations to give resources or credibility to endeavors that undermine the Jewish State of Israel. Our enemies are well-funded and numerous, and we don't need to help them." "I will no longer contribute to JFofOC. I will pick and choose my own charities." "The Jewish Federation and Hillel. Shame on you! You do not represent the Jewish people. You give comfort to our enemies." "This is an outrage. Sending Jewish children to be brainwashed by those who would destroy Israel is beyond the pale." "We are appalled at what has occurred with regard to our Jewish students meeting with the Arabs in Israel and getting incorrect information about the Israeli/ Palestinian conflict. Why is the OC Jewish Federation funding these projects? It must cease immediately please!" "The OTI is subterfuge to finance ISM activities. It is not only a danger to indoctrinate Jewish students against a Jewish state, but also serves as a cover to get ISM activists to the West Bank at Jewish expense." "The Jewish Federation of Orange County should be ashamed of itself for isolating Jewish youth and propagandizing them with anti Jewish information." The Jewish Federation of Orange County Funds Olive Tree Initiative (OTI) Student Programs, supported and promoted by Hillel. Click on the Right to watch video. 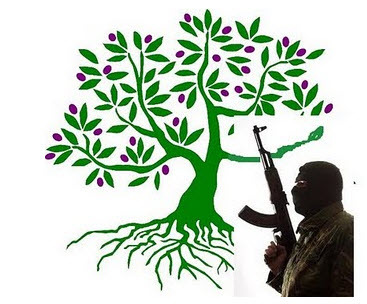 Has Olive Tree Initiative reduced Anti-Semitism on Campus? There is a psychological and economic war against the Jewish State of Israel. There are American university campus programs that are aiding and abetting this war. Unbelievable as it sounds, naive Jewish organizations are funding indoctrination retreats abroad! This is dangerous, because it places students in physical harm and undermines the future of Israel as a Jewish state. Our Mission is to Expose the truth and stop this funding. From Left, President Mark Yudof, Oren Klein (Olive Tree Initiative Leader), Aran Aghopour, Chancellor Michael Drake. Lee Kaplan at USA National Press Club Washington discusses: International Solidarity Movement, Olive Tree and Hamas meeting. 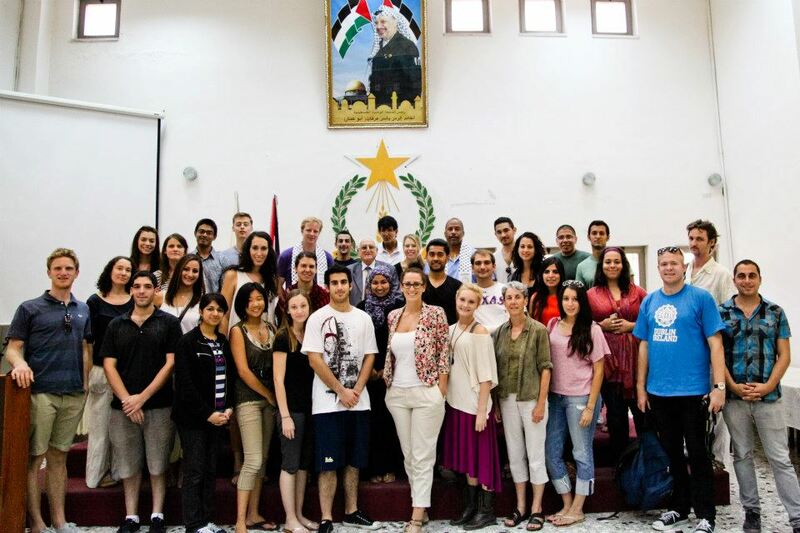 9/20/09Students on 2009 OTI trip met with Hamas. UCI was aware of Hamas meeting. This did not stop them giving award to OTI in 2010. The US State Department has designated Hamas as a Terrorist Organization. Did President Yudof know about this meeting??? 2012 OTI visits West Bank on a " non-political " "educational" tour. In this photo a UCI Professor and a UCI Vice Chancellor are wearing Arafat " look alike" kaffiyeh. 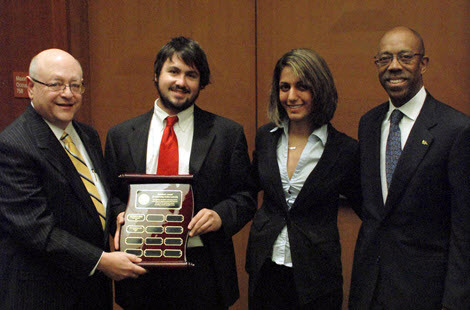 Senior Fatah official (center) meets with University of California, Irvine (UCI) and UCLA students of the Olive Tree Initiative (2012). On the far right of the photo is the OTI "tour guide" who just happens to be the co- founder of International Solidarity Movement (ISM). Thank you to author Nonie Darwish, who has translated the Arabic writing seen on the poster on the wall behind the group. The English translation: "Martyred Leaders: The Central Committee to the Fatah Movement"
"Fatah terror group: plans terror attacks inside of Israel. It was the first terror group responsible for a female suicide bombing inside of Israel, in 2002".